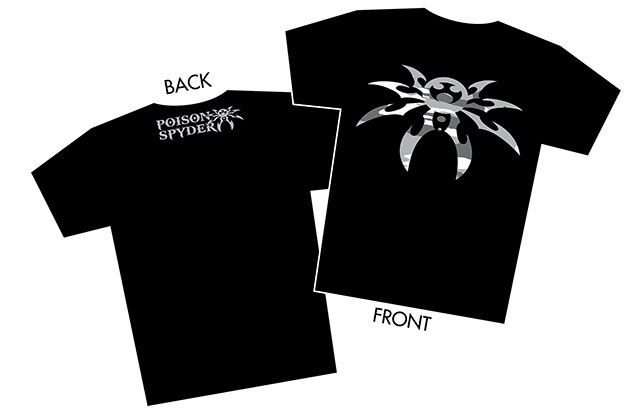 I bought a poison spyder t-shirt. Fits great and keeps everyone guessing until they read the back Where is says POISON SPYDER..
Love the new designs. Great new spin on an old fav!